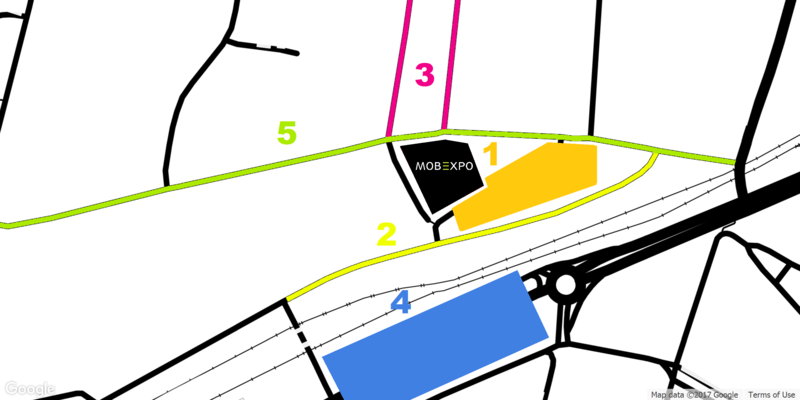 MobExpo takes place at 't Bau-huis (Slachthuisstraat 60, 9100 Sint-Niklaas) and easily accessible by public transport. 't Bau-huis is located behind the station of Sint-Niklaas and near serveral bus stops. Fixed bicycle parkings are provided at 't Bau-huis, situated on the side of the Noordlaan parking.